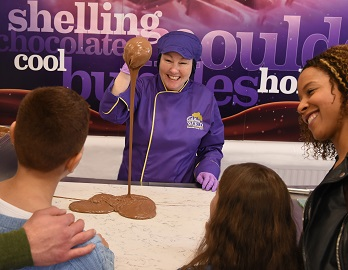 Enjoy a scrumptious day out that’s choc-full of festive fun this Christmas at Cadbury World! A festive day out wouldn’t be complete without seeing the jolly man himself! The Santa experience is packed full of festive fun and music the whole family can enjoy. 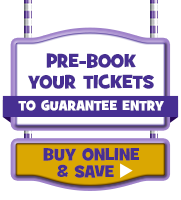 With a sack full of Christmas gifts for his elves to hand out to visiting children, the exclusive Cadbury World Santa Show is not to be missed. Lots of laughs are guaranteed in this fun filled family show as you join Cinderella on her magical rags to riches adventure. With help from Fairy Chuckle Bean her fairy godmother and her best friend Buttons can Cinders overcome her wicked stepmother and two ugly sisters and make it to the spectacular Royal ball? With the handsome Prince Charming waiting for his one true love, will Cinders get her happy ever after? 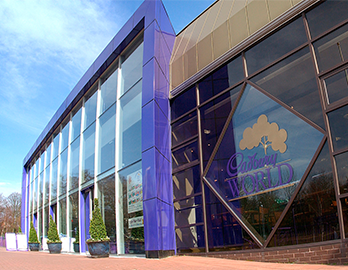 Enjoy traditional festive fare with a Christmas dinner at the Cadbury Café. Try our Family Meal Deal of 4 regular drinks and 4 hot meals for just £24.95! 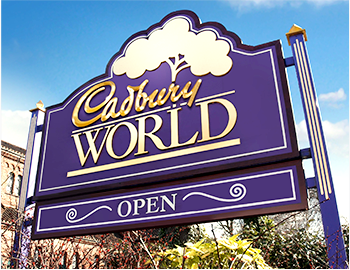 Shop for all your favourite festive chocolates, courtesy of the World’s Biggest Cadbury Shop. Entertainment is included in the standard ticket price. Pre-booking is essential. Book tickets here.